I did not plan on such a large gap between posts about the beginning of conference play and the first update of how teams are faring against their conference foes. For that, I apologize! As conference play progresses, I will give updates at random times throughout the rest of the season (although I’d like to have more consistency in updating conference play, the only promise I can make is that updates will be random). With some teams already halfway through their conference schedules, there is a lot to touch on. Nearly all coaches comments on their perspective of conference play falls on a spectrum of similarity. Descriptions vary slightly from conference play described as difficult, a bear, an animal, or a beast. The casual basketball fan may or may not know how difficult it really is to win on the road. It’s easier to win at home verses a top 30 team than on the road at a top 70 team. Understanding this is necessary in trying to comprehend outcomes within conferences play. Elite teams tend to lose a few times and teams recessed in the basement of their league pull off some surprising wins. And so “the norm” of college basketball becomes the crazy or unexpected. And college basketball fans like that – or so it seems. We have been treated to some fascinating trends up to this point of the season. In the Missouri Valley, Northern Iowa, a team that has garnered attention in recent years for their postseason play, started 0-5 in the conference! In the ACC, Georgia Tech, who was projected to lose all but 1 or 2 games, took down North Carolina by double digits. A couple weeks later, the Yellow Jackets dismantled a touted Florida State squad, a team that had just completed a 6 game stretch against ranked teams at 5-1. As I type this, Georgia Tech handed Notre Dame a loss. Show of hands that had Notre Dame winning their first 5 ACC games? Duke currently sits in 9th in the ACC and is projected by Kenpom.com to finish 9-9 in the ACC. I figured Duke would struggle once the injured players were transitioning into the playing rotation, but I didn’t think Duke would look so…average. Surprises have come elsewhere in other conferences. Butler was picked to finish 6th in the Big East and currently holds the tiebreaker over Villanova for 1st. Creighton sustained a significant blow in losing the soul of their team, Mo Watson. Creighton seems to be searching for a new identity. They have enough time to adjust the pieces, but they have to figure it out fast because there are a couple teams jumping at the bit to leap them in the standings. Marquette has quietly made noise (if such a thing could happen) in the conference. Last week, the Golden Eagles took down both Creighton and Villanova. Their 16-4 scoring advantage to finish the game against Villanova created one of the most exciting games of the year to this point in the season. Arizona has quietly run the table in the Pac-12 up to now, placing them at the top of their conference. Oregon joins them as the other undefeated team in the Pac-12, a fortuitous last second 3-pointer at home helped the Ducks beat UCLA. The Bruins have an outstanding offense. I haven’t watched many of their games, but I have seen an offensive firepower that is scary good. Unfortunately, I don’t see UCLA winning the championship because their defense is average at best. Maryland currently sits atop the Big Ten and Northwestern in third. The bigger surprise here, in my opinion, is Maryland. A lot of that lies in what the Indiana Hoosiers have not done, playing to a 4-4 record thus far in the conference. I think Minnesota is a lost cause at this point in the season. Of all the teams in the NCAA, I think I’ve seen the Golden Gophers play most behind watching the Butler Bulldogs play. Minnesota is a good team, but they will have to win out the rest of the season and make a deep Big Ten run to make the tournament in my opinion. As of right now, I don’t think Indiana makes the tournament with the recent way they have been playing. Tom Crean needs to right that ship fast. In the mid-major conferences, leagues that are likely only to send one team to the NCAA tournament, some teams are facing challenges by opponents that some weren’t expecting much resistance. In the Southern Conference, I figured Chattanooga would be the dominant team. To be fair, they are in second place. Yet they share second with both Furman and East Tennessee State. All three of those teams sit a 6-2 in the conference standings with UNC Greensboro at 7-2. In fact, ETSU is the current favorite to win the regular season. It will be fun to observe how this conference shakes out prior to the conference tournament beginning. It’s a similar story in the Patriot League where Bucknell sits in first at 8-1, but close behind are three teams tied for second at 6-3. Of the teams tied for second (Lehigh, Navy, and Boston), I think Lehigh has the greatest chance at taking Bucknell’s spot in the NCAA tournament this year. It has been some time since I have provided an update on Butler. The Bulldogs currently sit atop the Big East standings, tied with Villanova. They are 7-2 in the conference and 18-3 overall. To this point in the season, I think it is fair to say that the Bulldogs have overachieved. After losing their first league game at St. John’s, Butler has been Butler – they have found ways to win. They overcame what seemed like insurmountable deficits to Xavier (9 points), Marquette (18 points), and DePaul (20 points). To be fair, the Xavier deficit turned around quickly, but it could have become ugly. I’m not sure how to explain the Marquette game. The Golden Eagles are so talented at spreading the floor and their 3-point shooting was incredible. Butler got lucky winning that one. If anything, I think the DePaul game represents the Butler season and the title would be a famous line from one of my favorite movies, That Thing You Do. In one scene of the movie, the rhythm guitarist turns to the drummer and says, “How did we get here?” I think you could say that about Butler for a number of reasons. The reality going into the season was that the Bulldogs lost two impactful players in Roosevelt Jones and Kellen Dunham. Added to that loss was the addition of seven new players to the roster. Kethan Savage and Avery Woodson are transfers as is Tyler Lewis, however, Lewis has a year under his belt playing in the Butler system. Sean McDermott is a redshirt freshman with Joey Brunk, Henry Baddley, and Kamar Baldwin playing as true freshman. Coach Chris Holtmann has admitted he did not know what to expect with this group of players, and sometimes, not having expectations is the best way to approach things. The Bulldogs have beaten Northwestern, Arizona, Utah, Indiana (when it was decent), Cincinnati, Villanova, Xavier, and Marquette (a team that should be considered for an at-large berth to the NCAA tournament). The Bulldogs are a NCAA best 14-1 against the top 100 RPI. They are currently 5-0 against conference leading teams (Vermont, Bucknell, Cincinnati, Arizona, and Villanova). 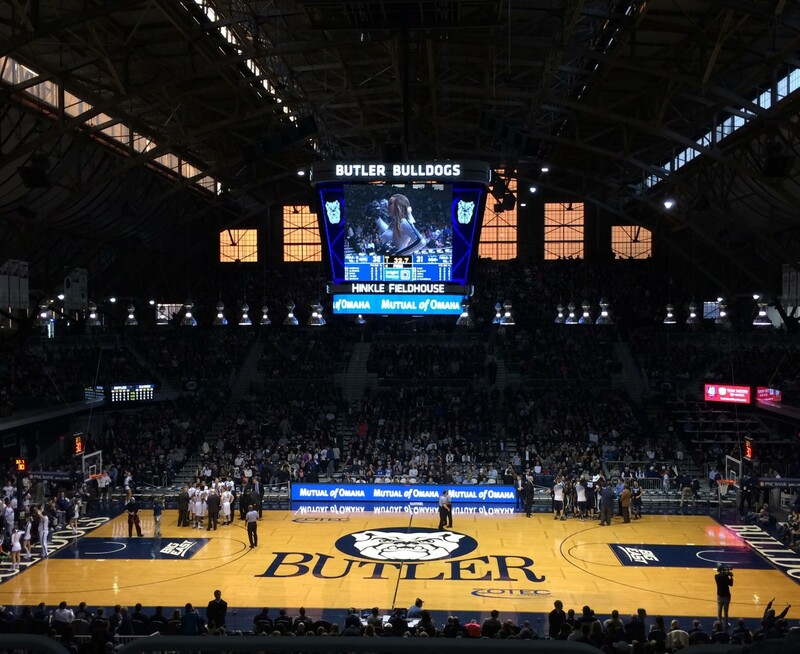 It’s easy for me to sit at a laptop and say “Of course this is what Butler needs to do to improve”. If for some reason a Butler player or coach were to read this, they should know I am incredibly proud of their body of work and how they carry themselves. I’m not able to play the game like them, and I’m thankful I get to watch a team be so successful and compete at a high level. Once Martin breaks through his shooting slump and the last few pieces are put together, these Dawgs will be dangerous. It’s pretty goofy to me that in such an odd season for the Dawgs, some amateur bracketologists have Butler as high as a 1 seed. At the moment, I don’t see Butler having higher than a 3 seed, which typing seems weird because I’ve been in the frame of mind that Butler historically doesn’t deserve higher than 7 seed. It will be fun to see what the Bulldogs do through to the end of the regular season. All they have to do is focus on what they can improve on day-to-day and continue being Butler. It usually works out for them in the end. Expect another post at some point this week! I’m planning to go see IUPUI play against North Dakota State on February 1st. NDSU is currently in first place in the Summit League. Until next time, I hope everyone continues to enjoy the beautiful game!